Organization is the key for a smooth move and this is the time to start getting the details of your move and reserving your date with a reliable long distance and overseas moving company. All international moving companies don�t have the same level of experience as worldwide movers that you will get from Omega Relocations. We offer comprehensive services and have a commitment to excellence that result in a better moving experience that meets your specific needs. Your choice in international moving companies is the most important one you will make for a less stressful move. This is the time to decide what items you wish to transport to your new home. If you decide to dispose of items that you don't need you should either donate them to a charity or consider having a garage sale. Contact a local charity or pick a date at least two weeks before the moving date for the garage sale. Advertise the garage sale locally. Team up with your neighbors who want to sell some of their old belongings, and plan a large neighborhood "sale". 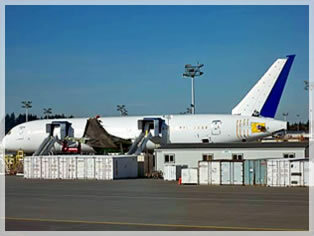 Talk with your international shipping company about shipping charges to help you decide what stays and what goes. Start collecting suitable moving and packing supplies if you plan to do your own packing or partial packing. You can purchase all these materials from your agent or a moving supply company. All boxes that you purchase from us or a moving supply company are specially designed for the moving industry to prevent any damages to your belongings. Getting boxes from other sources may create some difficulties when packed in the van. These boxes may be unusual sizes and they may not be strong enough to prevent damages to items packed inside during international relocation. Think about your new home layout and start thinking about where you'll place the furniture. Create a floor plan of your new home that will prevent the stress of making decisions when your furniture arrives at your new home. All travel arrangements (hotel, flights, car rental, etc.) for your family should be made at this time. Try to keep your plan flexible as possible to accommodate any schedule changes or delays. Contact your insurance agent to transfer medical, property, fire and auto insurance. Ask us about auto shipping overseas. 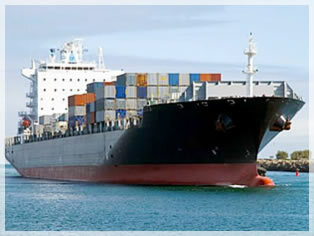 We have more than 20 years of experience at auto shipping to international destinations. All medical and dental records should be placed in a safe and accessible place. Be sure to include prescription, vaccination records and eyeglass specifications. Plan on taking all important documents, such as wills, stock certificates, and other one of a kind items (jewelry, coin collection, photos etc.). Moving Costs are based on the total volume (Measured in cubic feet) or weight of your personal belongings. There are different methods of shipping. Most Common: LCL (Less than container load) where your goods will be shipped in a consolidated container. FCL(Full Container Load) 20 FT. OR 40 FT. "Sole Use" Container. Contact a minimum of three overseas and international shipping companies that are specialized in international moving and shipping. Make sure they are familiar with the necessary paperwork and the various regulations existing in the United States and foreign countries. Request an onsite survey which is free of charge in order to receive an accurate estimate for your move. Get your instant overseas moving quote online. Here are some helpful hints as to what you need to check before making your decision. Their record with the BBB (better business bureau). Where are their offices/Warehouses located? Are they "A Moving Broker"? Are they specializing in International Moving? Do they provide overseas and international auto shipping? It is the time to take a look at what you own, and decide what must go and what can be left behind. All items such as old books, magazines, broken items, old toys can be left behind. 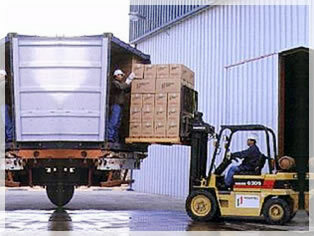 Remember adding more weight to your shipment cost more money. Make a decision if the items not going will be sold at a garage sale, donated to a charity or trashed. Make a decision on who will do most of the packing or all the packing. It is a good idea that you let the moving company do most of the packing. The international moving company knows the best methods for keeping items safe; that's what they do for a living. Notify your agent from the overseas shipping company if there are any changes in the dates of your move and whether you will require any additional services, i.e. piano moving, packing & unpacking or storage. You should inform the moving company, for pricing information. Also inform them if you add or subtract items from your planned shipment. Consider giving your plants to friends or a charity. Make transportation arrangements for your pets. Take your pets to your veterinarian to ensure proper up to date health certificates and rabies inoculations. You will need to carry all valuable jewelry with you. If you have any valuables around the house, be sure to collect them before leaving. Return any borrowed items such as library books. Also collect all items that are being repaired stored or cleaned (clothing, furs, shoes etc.). Transfer all prescriptions. Call your bank to find out how to transfer your accounts. Clear all your safety deposits boxes. Disassemble and disconnect your computer system before your move. Back up all your computer files on a disk. Consider taking all back up file disks with you in the car. Exposure to extreme temperatures can damage your software. Make final packing decisions. Clean and clear your home including closets, basement and attics and the items that you will take. Dispose of items that represent a hazard and are not allowed to be shipped. Tape and seal all cleaning fluids that are non-toxic, non-flammable in plastic bags. Drain your lawn mower, snow blower, power tools of all the oil and gasoline to ensure safe transportation. Schedule appliance disconnection and preparation with a service provider. If you need to store anything call your moving company about storage options available. Inform gas, electric, cable, and telephone services of your move. Arrange to have them disconnected. The day after your scheduled moving day. Make sure to mark which items you'll take yourself, so the movers won't take them or have any questions. Make sure you haven't overlooked anything in the house. Mark your boxes to be shipped with "Fragile", "Do Not Load", "Load Last" stickers. Empty, defrost and clean your refrigerator, freezer and clean your stove, all at least 24 hours before moving to let them air out. Try using baking soda to get rid of any odors. Prepare items you will need while your goods are in transit. Pack your suitcases and confirm travel arrangements for you and your family. Try to keep plans as flexible as possible in the event of unexpected delay or schedule change. Make sure your international moving agent knows the address and phone number of your new home. You should also provide an address and phone number of where you can be reached until you will get to your new home. Arrange for payment to your moving company. Inquire about methods of payment accepted. Remember, always insure your goods for the amount of money it would cost to replace them in the country you are moving to. Costs overseas are often much higher than in the United States. NOTE - Customs regulations are subject to change at any time. Please contact your local embassy or consulate. One of the best ways to save on international moving is selective packing. Will that king-sized bedroom set fit your new home aboard? Will that appliance work on the electrical current in your new home? Will you be able to get spare parts for it? Serving The Entire United States To Any Global Destination. Port Areas In The U.S. Miami Jacksonville Savannah Charleston Norfolk Baltimore New York Boston Chicago Houston Los Angeles Oakland/s.f. ® Registered trademark/TM Trademark of OMEGA RELOCATIONS U.S.A. 2013 All Rights Reserved.